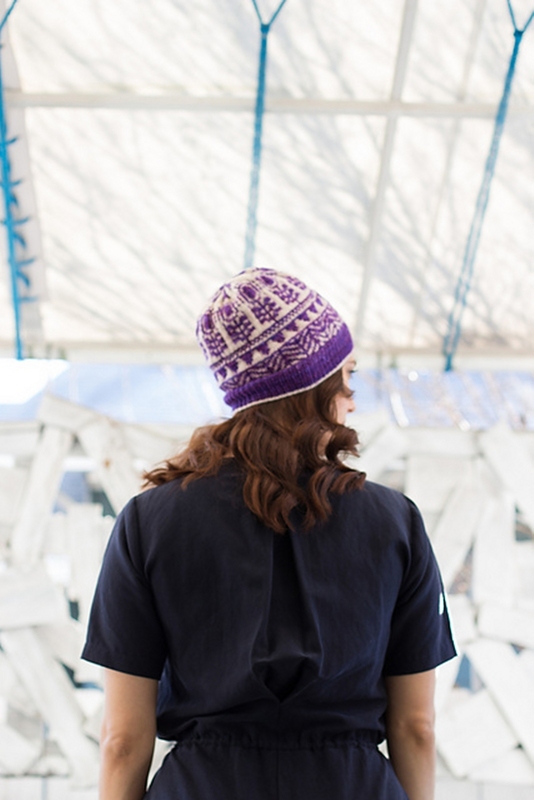 Taken from PomPom Quarterly: "Some of our favorite things about spring are the flowering blooms and pops of color that start appearing in green spaces around the city. 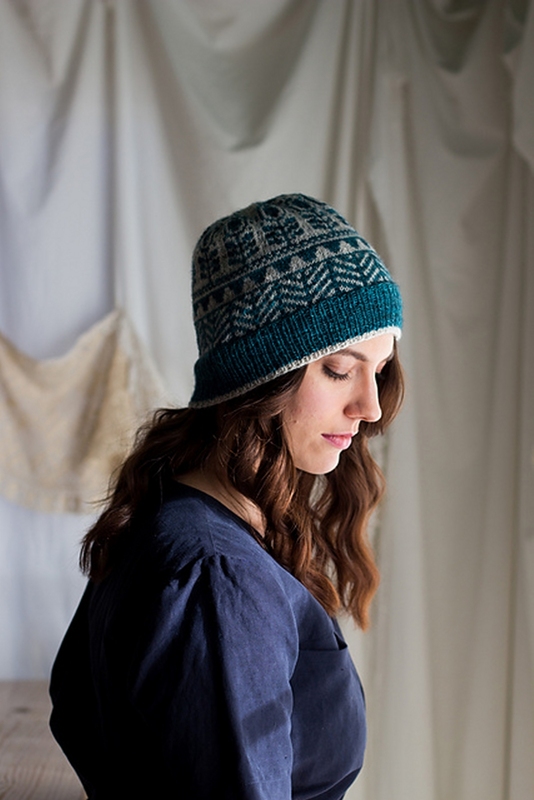 Vitsippa is a sweet little colorwork hat inspired by Scandinavian prints and spring blooms. The body is worked in stocking stitch from a chart of geometric borders resembling flowerbeds with botanical motifs appearing in the pattern as it grows. Named after the wild flower symbolic of Sweden in the spring, the contrast of the bright colorwork with a neutral background is like the flowers carpeting a woodland floor." 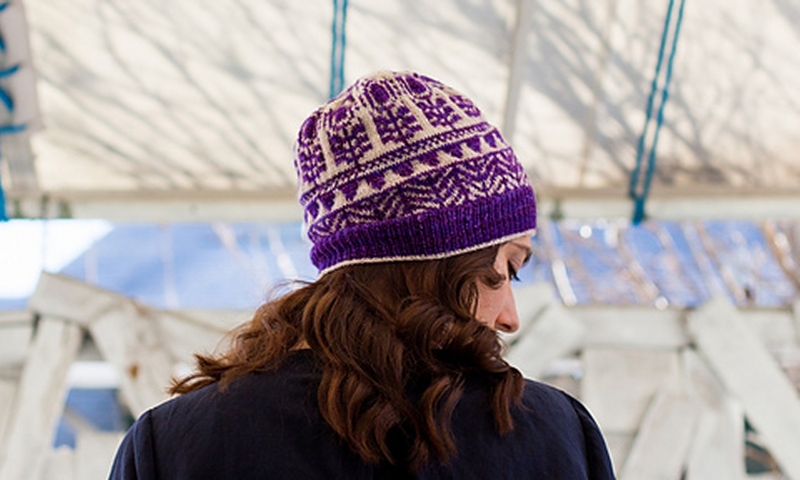 This pattern is from PomPom Quarterly, Issue 12, page 64. Pattern by Joji Locatelli. Size US 1 and 3 DP needles (or size needed to obtain gauge) are required but not included. Finished Measurements: 49.5 (54, 59) cm / 19½ (21¼, 23)" - to be worn with up to 5 cm / 2" negative ease. 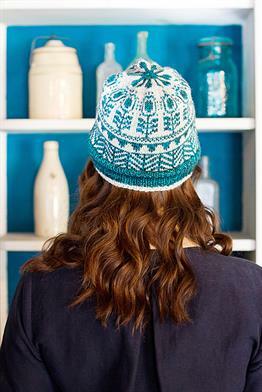 Gauge: 31 sts & 38 rows = 10 cm / 4" over stranded colourwork pattern using larger needles. Colors Shown: A: Antler and B: Esoteric (teal) OR Magenta (purple). We do not currently carry Magenta, but we like Dahlia as a substitute.